JINYA Ramen Bar to Open in Thornton Park Early 2018! We’re excited to see that a new Japanese restaurant, Tomonori Takahashi’s Jinya Ramen Bar, is scheduled to open soon in downtown Orlando’s Thornton Park neighborhood. As first reported by Ricky Ly on his local food blog Tastychomps.com, franchise partners Taff Liao and Eric Jakab are bringing the modern Japanese restaurant, featuring authentic ramen cuisine, along with a variety of small (tapas) dishes, to Orlando in early 2018. With over 30 locations worldwide, from Atlanta to California to Canada (and expanding rapidly), the new Orlando Jinya Ramen Bar is expected to bring more diversified dining selections to the downtown area. The location, 8 N. Summerlin Ave, as confirmed by landlord Craig Ustler, was previously home to two Tex-Mex establishments, Tijuana Flats and Verde Cantina (Verde Cantina closed on Nov 7th, 2017 after receiving several scathing reviews from local foodie media outlets). Jinya serves Japanese and Fusion food but the menu primarily features delicious ramen selections (bowls cost between $11 and $14) with slow-cooked broths (simmered for more than 10 hours) using authentic Japanese ingredients – offering traditional pork broth, as well as chicken and vegetarian broth options. Some Jinya menu highlights include: Ramen (of course! ): Tonkotsu Black, Tonkotsu Spicy, Spicy Chicken, Lobster Me Happy, and Spicy Creamy Vegan. Small Plates: JINYA Bun, Crispy Chicken, Takoyaki – Octopus Ball, Salmon Cilantro Sashimi, Shrimp Toast, and Crispy Shrimp Balls. Mini Tacos: Pork Chashu & Kimchee. We’re truly excited and looking forward to giving this restaurant a shot as soon as it opens, as we love anything and everything Japanese, Fusion & Ramen! We’ll be sure to give it the once over and post our thoughts here in our blog and let you guys know if Jinya lives up to our high foodie expectations. Hope to see you there and we’d love to get your thoughts too after the big grand opening! Nothing makes us happier than a great food event, especially when said event takes place in one of our favorite local neighborhoods. Both Winter Park and Audubon Park are home to weekly, monthly, and yearly events and happenings foodies won’t want to miss. Here’s just a taste of some of the best food related activities taking place over the next few months. We’ll see you there! Winter Park Winter Park Wine and Dine Spring Event Food from local vendors, beer, wine, and live music – where do we sign up? The Winter Park Wine and Dine event is one of our favorites of the year, taking place in the Winter Park Farmer’s Market building. Taste and sip your way through offerings from area favorites like Sweet By Holly, Hamilton’s Kitchen, Seasons 52, and Quantum Leap Winery. The event takes place on March 22 at 6:30pm, so get your tickets soon. Cooking classes at The Ancient Olive Did you know The Ancient Olive hosts cooking classes? This gourmet tasting room and olive oil shop is one of our favorite spots in Winter Park, tucked away in the picturesque Hidden Garden shops off Park Ave. Stopping in for a crash course in the proper way to taste olive oil is an educational adventure in and of itself, but cooking classes are a great way to expand your knowledge even further. Upcoming classes at the Winter Park location are on March 15, April 2, and April 19. Wine, Cheese & Chocolate Perfectly Paired What could be better than this trifecta of goodness? Head to Quantum Leap Winery on May 11th to sample 5 different wines, 4 cheeses, and 4 chocolates from our very own local chocolate shop, Peterbrooke Chocolatier! Tickets are $45 and can be purchased online. Winter Park Farmers’ Market Every Saturday morning from 7am-1pm, the Winter Park Farmer’s Market is abuzz with vendors selling local produce and goods. Pick up some produce for the week all while enjoying the local area in a budget-friendly way. Beer and Wine Dinners Enjoy a perfectly paired evening at a local beer and wine dinner! In addition to being delicious, these events are also educational. Some upcoming events include the Talley Vineyards Wine Dinner at The Ravenous Pig March 22, and the Central 28 Beer Dinner at ABO March 29. Audubon Park Weekly community market Audubon Park’s weekly community market is the go-to place for quality, local food. You’ll find the market set up every Monday from 5-9pm in the parking lot of Stardust Video & Coffee, which is a great spot to visit before or after picking up your local goodies. La Femme du Fromage Irish Food Fest Prepare to drool over the amazing menu for this March 17th St. Patrick’s Day celebration at East End Market: Irish Pub Salad with Cashel Blue and a sous vide quail egg, Smoked Bangers & Mash on pretzel crostini with onion confit, Shaved Corned Beef sliders with charred cabbage and a horseradish Irish cheese spread, Beer Battered Fish & Chips with Old Bay and a house-made aioli, Irish Cheese board with toasted homemade Irish brown bread, Guinness Soaked Bread Pudding with Irish whiskey caramel sauce and homemade porter cheddar ice cream. Need we say more? Tickets and more details can be found here. Taco Tuesdays at Bikes, Beans, and Bordeaux Cafe You had us at $3 tacos! There’s always something going on at Bikes, Beans, and Bordeaux but our favorite day of the week is definitely Taco Tuesday. Keep up with their website and Facebook page for the weekly specials and details. And don’t forget about food tours… Acquainting yourself with all of the culinary goodness of a neighborhood takes time, but our food tours give you a sampling of the best in the span of an afternoon. Join us for our new Audubon Park food tour, where we’ll show you around the garden district local style, or hop on our Winter Park food tour for a healthy mix of tasting, demonstrations, and local culture along Park Ave. Better yet, try both! Space is limited and tours book quickly, so get your tickets online now before dates sell out. 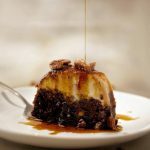 Whether you prefer to refer to Audubon Park by its official name or its nickname, the “dessert district,” there’s no denying that this small but mighty area of Orlando is a foodie heaven. Loving Audubon Park is simple. Multiple dessert shops are within walking distance of one another. East End Market serves as a community gathering place where you can buy your fresh produce, a gigantic cookie, local goods, and some of the best craft coffee in town all under one roof. There’s no shortage of bars and eateries, and close proximity to one another creates the perfect environment for a progressive meal. 1. Drinks + Dessert Take full advantage of the multitude of sweet shops within walking distance of each other, and quench your thirst with craft beer and cocktails along the way. Start off at Blue Bird Bake Shop with a cupcake, then pop into Florida & Co. in East End Market for a refreshing pint of craft beer from Florida. After your beer, head back across the street to Kelly’s Homemade Ice Cream for a scoop (or an ice cream flight) of the tastiest ice cream in Orlando. The cookie monster and Mexican chocolate are personal favorite flavors. Other great stops to add to your “meal” include Redlight Redlight and Stardust Video & Coffee. If you want to sprinkle in some caffeine with all those carbs and sugar, give yourself a boost with a cold brew from Lineage. 2. East End Market You can enjoy an entire progressive dinner from appetizer to dessert without leaving East End Market. Kick things off with a cheese board and champagne cocktail at La Femme du Fromage, one of the best places in Orlando to purchase artisanal cheeses. Afterwards, try the BBQ brisket tacos from Houndstooth Sauce Company and include ramen from Domu as your main course. 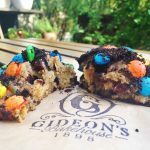 If you’re still hungry afterwards, treat yourself to a giant cookie from Gideon’s Bakehouse and save the leftovers for the following day. (If there are any leftovers at all…) 3. Sandwiches Progressive meals are typically a dinnertime thing, but why wait? Load up on meat, cheese, and carbs (aka the good stuff) by doing your own progressive sandwich lunch. We love any sandwich from Bikes, Beans, and Bordeaux, served with a side of delicious black bean soup and the signature jelly beans. For a sandwich of the cheesier variety, don’t miss La Femme du Fromage’s grilled cheese. Even lunchtime calls for a dessert, so head on over to P is for Pie Bake Shop and get yourself a whoopie pie. The flavor options are endless; choose from chocolate, ginger, snickerdoodle, and many more. While the food alone is reason enough to visit, do yourself a favor and plan your visit around one of many events happening in the area. There are monthly “swarm” rides with the Fleet Farming group, a weekly community market on Mondays in the parking lot of Stardust, and Harry P. Leu Gardens offers a cheap movie night once a month. New Year’s resolutions typically fall in the realm of weight loss, exercise, and self-improvement, but as foodies we’re advocating for a year of culinary adventures instead uyhconr. Ditch the salad and expand your palate in 2017 with some delightful and delicious experiences found in Orlando. 1. Try a new restaurant opening in 2017 It’s great to have tried and true favorites, but as the food scene in Orlando continues to grow, there’s no reason not to try something new. 2017 is already shaping up to be a year full of new restaurant openings and expansions. We’re especially excited to try Hunger Street Tacos in Winter Park (no set opening date yet), along with Luke’s Kitchen and Bar in Maitland, which opens January 9th. 2. Have a progressive meal in Audubon Park The Audubon Park Garden District may be small in size, but it packs a serious punch with a variety of eateries. Restaurants in close proximity to one another make this district prime for a progressive dining experience. Start in the morning with a nice cup of coffee from Lineage Coffee in East End Market. Next, try a sandwich (and that delicious black bean soup) from Bikes Beans and Bordeaux Café across the street, and then top things off with a scoop of ice cream from Kelly’s. They recently released a new seasonal flavor, Alligator Tracks, which is made with Florida oranges. Cupcake ATM Machine at Sprinkles Cupcakes, Disney Springs 3. Get a cupcake out of an ATM machine Disney Springs has evolved into a dining destination popular among locals and tourists. If it’s a bite-sized experience you’re looking for, look no further than the Sprinkles Cupcake ATM Machine. Walk up to the machine, punch in your order, pay, and then watch the screen for a behind-the-scenes look at your cupcake retrieval. A fun musical jingle plays as your boxed cupcake materializes out of the ATM machine. 4. Up your brunch game with a mimosa flight We’re constantly looking for new and noteworthy brunch experiences. The Parkview in Winter Park has taken the brunch staple of mimosas to the next level by offering mimosa flights: a serving of 4 flavored mimosas (varying depending on what’s in season). Try them all and then get a full pour of your favorite, all for just $10. Brunch is served Saturdays and Sundays. 5. Be a VIP at the chef’s table Dining at the chef’s table is a truly unforgettable experience. Speak directly to the chef preparing your food, enjoy custom selections, and learn all about food preparation while indulging in an excellent meal. Whether you’re celebrating a special occasion or just want to treat yourself to a special night out, the chef’s table at Luma on Park in Winter Park is a great option. The Spice and Tea Exchange of Winter Park 6. Make a homemade meal with local items There are plenty of foodie havens located throughout Orlando where you can shop small and support local businesses. And what better place to start than in the kitchen? Stock up on your spices at The Spice and Tea Exchange and peruse gourmet goods and olive oil at The Ancient Olive. Local produce and craft beer can be purchased from a multitude of locations, including Florida & Co. (formerly known as Local Roots) in East End Market, or one of Orlando’s many weekly farmer’s markets. A cheese haven can also be found in East End Market at La Femme Du Fromage, an artisanal cheese shop where you can find everything you need for the perfect at-home cheese board. Don’t forget dessert; chocolate covered popcorn from Peterbrooke is the perfect way to end your meal. 7. Eat a slice of pizza as big as your head For an instagram-worthy pizza moment, make your way to Lazy Moon Pizza in the Mills50 district. The pizza slices are literally as big as your head and come in a variety of flavors. Don’t skip the unique toppings, as this is one thing Lazy Moon is known for. This pizza joint is a great addition to the Mills50 district, which is already bustling with unique eateries and street art. A must-eat for pizza-lovers. Food tour of Winter Park 8. Go on a food tour If you want to expand your local knowledge further, come join us on a food tour! Whether you discover a new restaurant, pick up a new bit of Winter Park history, or simply meet some new friends, our food tours have tons of value to offer locals. The cooler months are the perfect time to join us for the guided 3.5-hour walking tour of Winter Park. We’ll make 6 food stops along the way, and drinks are included! Get your tickets here. Christmas is less than 2 weeks away, and if you’re still stumped on what to get the foodie in your life, look no further than our local gift guide. Shopping local means you won’t have to worry about shipping delays, and you get to support a local business owner in the process. 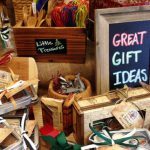 Here are our top picks for gifts any foodie will love, and you can find them all in Winter Park! Stocking Stuffers Spices and more from The Spice and Tea Exchange of Winter Park The Spice & Tea Exchange has everything you could possibly need for the creative cook in your life, especially when it comes to stocking stuffers. Keep it practical with kitchen tools like mini whisks and tea infusers, or get creative with a spice sampler or unique flavors of loose leaf tea. And no stocking is complete without a bottle of Florida Sunshine, Spice & Tea’s signature citrus spice blend. Don’t forget to grab a few free recipe cards utilizing the spices you purchase. Foxtail Coffee mug and coffee Foxtail Coffee finally opened its doors in December, and they have plenty of products in store that are ideal for craft coffee enthusiasts. You can’t go wrong with a Foxtail Coffee branded mug and a blend of their signature coffee. Foodie Fare Peterbrooke Chocolatier popcorn tub Anyone who’s tasted Peterbrooke’s chocolate covered popcorn knows it’s the catalyst for popcorn addiction. Let everyone in your circle in on the secret by giving them the gift of a tub of that heavenly chocolate covered popcorn. Bonus: the tubs come adorned with holiday bows, so you don’t even need to wrap! 4 Rivers Pitmaster Kit Every family has a grill master – make an impression on him or her with the ultimate pitmaster kit from local favorite 4 Rivers Smokehouse. The kit is $28 and includes 4R Signature Sauce, 4R Hot Signature Sauce, Brisket Rub, All Purpose Rub and Coffee Rub. Boutique wine from The Parkview The Parkview is a great place to enjoy a weekend brunch or quiet meal, but it’s also a wonderful wine bar. If you’re looking for a gift for your favorite wine lover, look no further than the boutique bottled wines available at the restaurant, including the festive holiday edition of Lady In Red, a pleasing red wine blend. Complete the gift package with a gift card and voila! One of a Kind Goodies from The Ancient Olive The Ancient Olive is a treasure trove of gift ideas for foodies, with everything from infused olive oil and balsamic vinegar samplers to gourmet cheeses, cookbooks and more. Create your own unique holiday gift package with an olive oil and balsamic vinegar pairing. Or, consider putting together a foodie basket with a selection of balsamic vinegar and olive oil samplers, pasta blends, beer jam, and a jar of olives. Recipe box and cards from Rifle Paper Co. Revive the art of hand-written recipes with a practical recipe box and recipe cards from Rifle Paper Co. This gift will delight the stylish cook in your life, and the unique cocktail recipe cards are the perfect compliment. Gift certificates Park Avenue restaurant gift card Forgo the generic American Express gift card and give something more personal. Some of the best restaurants in Orlando are found along Park Ave. and many of them offer gift cards. A gift card to Luma on Park is an excellent gift idea for in-laws, and if you want to take it one step further consider booking the chef’s table. Other local restaurants that sell gift cards include Prato, Boca, and Bosphorous. 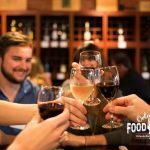 Orlando Food Tours gift certificate A walking tour is one of the best ways to get a feel for the food scene in Winter Park, and it also happens to make a great gift! A food tour gift certificate offers a bit of everything: a great food experience, an educational adventure, and a bit of history all packaged into a 3.5-hour tour. Gift vouchers never expire and there are no blackout dates. Get yours here – 20% off for a limited time! What’s on your foodie wish list? Looking to shake up your usual Sunday brunch in Winter Park? We’ve got you covered. Round up your crew and keep your brunch game strong by visiting one of these five brunch favorites. The Briarpatch You’ll know you’ve found The Briarpatch when you see a line snaking down Park Avenue on Sunday morning. Briarpatch is continuously referred to as having the best breakfast in Winter Park, and the consistently long lines are a testament to that fact. Infact, breakfast or brunch at Briarpatch is almost like a right of passage for local foodies and brunch enthusiasts. The menu is full of classic breakfast offerings like decadent pancakes and waffles, and hearty eggs benedict, but try it for brunch at least once to see what all the fuss is about. The brunch cocktails, like the blood orange mimosa, are the perfect compliment to your Sunday. You can find The Briarpatch at 252 N. Park Ave. Breakfast is served Monday-Saturday beginning at 7:00am, and 8:00am on Sundays. The menu is available online here. The Parkview I’ve got two words for you: mimosa flight. Mimosas are a staple of brunch and The Parkview has them in abundance. Choose from your classic champagne and orange juice (local and organic) combo to more interesting flavors depending on what’s in season. If you can’t decide, order a mimosa flight for $10 which includes 4 samples and a full pour of your favorite. The brunch menu includes everything from egg frittatas and croissant sandwiches to chef’s specials like the roasted tomato tartine and a savory baked brie. Many of the ingredients are sourced from local farmers, making this a brunch you can feel good about. With an extensive brunch menu, endless mimosa options, and a chill atmosphere, The Parkview is a no brainer for brunch. You can find The Parkview at 136 S Park Ave. Brunch is served Saturdays and Sundays from 11:00am – 4:00pm and the menu is available online here. Arrive on the early side if you’re hoping to snag a table outside. Pepe’s Cantina A friend introduced me to Pepe’s Cantina, a somewhat new Mexican restaurant tucked away in the Hannibal Square area of Winter Park. The tacos Al Pastor are delicious and the drink offerings, including the spicy mango margarita, are refreshing and one of a kind. Pepe’s Cantina is known for their fresh table-side guacamole (so good!) and excellent Mexican cuisine, but they also offer a unique Sunday brunch. As detailed in Brunch Bros, offerings include those tacos Al Pastor (mmm) alongside huevos rancheros, and more. You may also indulge in bottomless mimosas for a mere $12.99. If you’re looking to shake up your typical brunch, Pepe’s Cantina is definitely worth a try. You can find Pepe’s Cantina at 433 W New England Ave. in Winter Park. Brunch is served Sundays from 11:30am – 3:00pm and while there’s no menu posted online, you can keep up with their Facebook and Instagram pages for info. The COOP Although the COOP doesn’t offer a special brunch menu, it’s still a guaranteed win for brunch. The COOP was opened by John Rivers, the same man who brought 4 Rivers Smokehouse to Orlando. The atmosphere is fast-casual with a focus on home-style Southern comfort food. While a hearty breakfast is available as early as 7:00am, it’s served until 2:00pm so feel free to sleep in a bit. Each menu item is crafted with signature Southern flair, from the chicken & waffle to the low country omelet. (And yes, there are biscuits.) If you’re craving something sweet and savory, opt for pancakes or french toast. If it’s good food, a casual atmosphere, and brunch with a Southern twist you’re after, round up your crew and head to The COOP. You can find The COOP at 610 W Morse Blvd. Breakfast is available Monday-Saturday from 7:00am – 2:00pm, and the restaurant is closed Sundays. The menu is available online here. 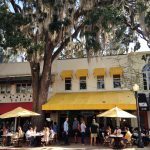 Food Tour of Winter Park If you want to do something different while squeezing in a little exercise and a whole lotta’ food, then a food tour is a great alternative option for your weekend brunch. Expect plenty of food (including some brunch), VIP tastings at our favorite local shops, and double dessert. You may even pick up some new information as your tour guide shares some interesting historical facts about Winter Park. Food tours run every Saturday and Sunday at 11:15am, starting and ending on Park Ave. You can check our tour schedule and availability here. Get your tickets! Fall is the perfect time to join us on one of our walking food tours! Allow someone else to do the cooking, and relish in a nice break from all that holiday meal planning and prep. Tickets are available online through our website. As local Orlando foodies, we’re always keeping our eyes out for new restaurants in and around Orlando to try. Lucky for us, this year has ushered in tons of new restaurant additions to our local food scene, and we couldn’t be happier. Here’s a roundup of some new foodie fare that’s either coming soon or has recently opened in Winter Park. Hunger Street Tacos When I drove by the old home of BB Junction one day and realized it was no longer there, I was pretty depressed. Known for their incredible burgers (made with grass-fed beef) and locally sourced ingredients, BB Junction was a neighborhood favorite. However, my spirits lifted when I learned the space would soon be home to a Mexican street food restaurant, Hunger Street Tacos. When it comes to tacos, I have absolutely NO objections. Hunger Street Tacos currently operates as a catering company, and they’re known for their authentic Mexican street fare. But soon we’ll all be able to try the deliciousness for ourselves when the restaurant location opens at 2103 W Fairbanks Ave in Winter Park. Menu offerings include the Tacos Campechanos (Brisket and Chorizo topped with onion, cilantro, lime and avocado salsa verde) alongside delicious desserts like the Xocoflan (pictured at top of article) – a bottom layer of chocolate cake topped with a cream cheese flan, rich caramel drizzle, and pecans. Sign me up! Good things take time, and as such there isn’t an official opening date set yet. So in the meantime, you’ll have to satisfy your taco cravings elsewhere or catch Hunger Street at a local event. Keep up with their Facebook page for events and opening news. Bulla The definition of Bulla alone makes me excited to visit this gastrobar. BULLA: [boo-ya] – the ability to create a stir; what everyone’s talking about. Bulla recently opened its doors in Winter Park at 110 S Orlando Ave and has already created a buzz. Bulla is “inspired by the most popular tapas restaurants in Spain” as described on their website. The menu at Bulla is a mix of cured meats, cheeses, small plates, and large plates. There’s also a brunch menu and for $27, customers can select three options from the brunch tasting menu. Bottomless sangria and mimosas are $15/person. The Winter Park location is the third to open in Florida, with the other locations in Doral and Coral Gables. Whether visiting for lunch, dinner, or brunch, Bulla is certain to be a crowdpleaser for local Winter Park foodies. Check out the menu here. Foxtail Coffee I know, I know – not technically a restaurant but Foxtail Coffee is still worthy of a spot on this list. The craft coffee movement has reached Orlando, and several great options exist already (Lineage, Gratitude Coffee, and Barnie’s Coffee Kitchen just to name a few). It’s exciting to see more options pouring in as craft coffee gains momentum. An opening date has officially been set, which should be welcome news for coffee lovers who have been following along diligently for months. Foxtail Coffee will open up on December 1 at 1282 Orange Ave. in Winter Park. In addition to favorites like their cold brew, Foxtail is putting a spin on things by introducing a cocktail menu as well. Foxtail has been spotted at several locations including Market on South, The Courtesy, local farmer’s markets and events, and Infusion Tea if you just can’t wait until December. Keep up with their Facebook and Instagram pages for more info, or stare continuously at the countdown on their website. More Orlando foodie newness… Lazy Moon Pizza: This famed pizza joint which made waves in the UCF area is now serving up their signature giant pizza slices at the new Mills50 location. Lazy Moon officially opened at 1011 E. Colonial Drive on November 8th. Domu: This newbie to East End Market is already causing a buzz. Domu is a ramen restaurant located at 3201 Corrine Dr. STE 100. They are currently only open for dinner, but keep up with their Facebook page for up to date hours and information. Can’t wait? Join us for a food tour! Waiting for food is painful, but we’ve got a solution. We can remedy that pain with our walking food tour of Winter Park. Come explore the foodie scene along Park Ave. on a guided 3-hour tour of our favorite local eats. Get your tickets here.